Teen shooting stars Manu Bhaker and Saurabh Chaudhary continued their stunning form as a team with another world record and gold medal finish. 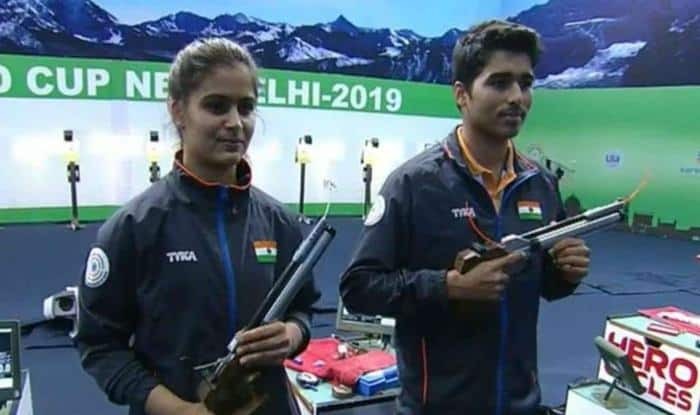 The ace Indian shooting pair of Manu Bhaker and Saurabh Chaudhary won the 10m Air Pistol mixed team match on day one of the ongoing 12th Asian Airgun Championship in Taipei’s Taoyuan. While registering a thumping win, the Indian pair smashed the qualification world record in the process. The second Indian team comprising of Anuradha and Abhishek Verma also reached the finals to finish fourth with a score of 372.1.